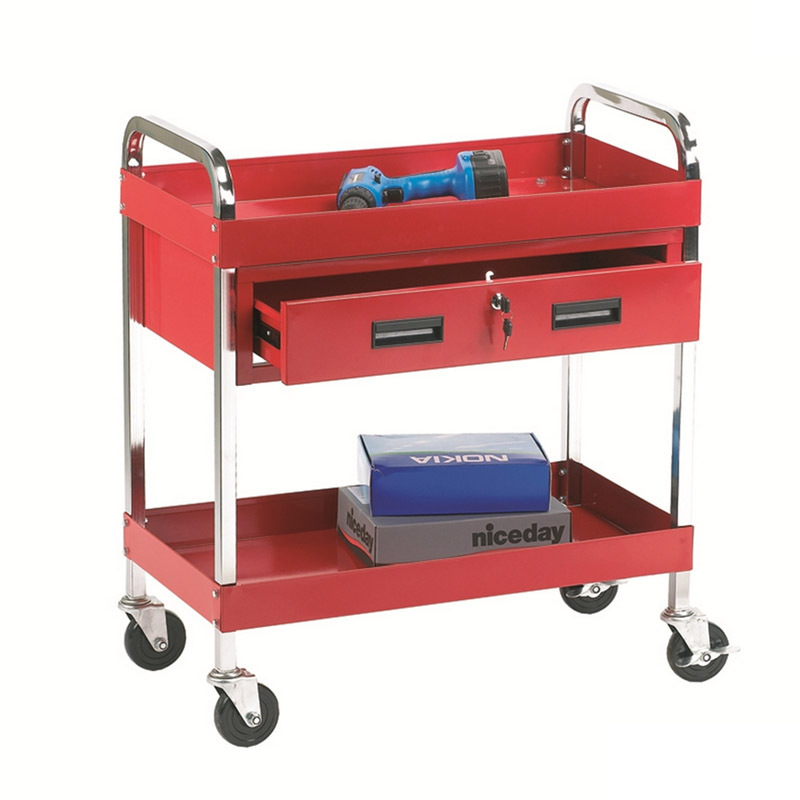 Keep your tools stored neatly whilst also keeping them close at hand with this great value workshop tool trolley with integrated drawer(s). 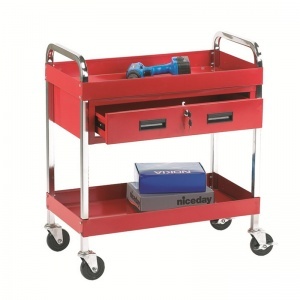 The all-steel construction provides a solid base to store a good selection of hand and power tools that can be transported to specific areas for more efficient working. 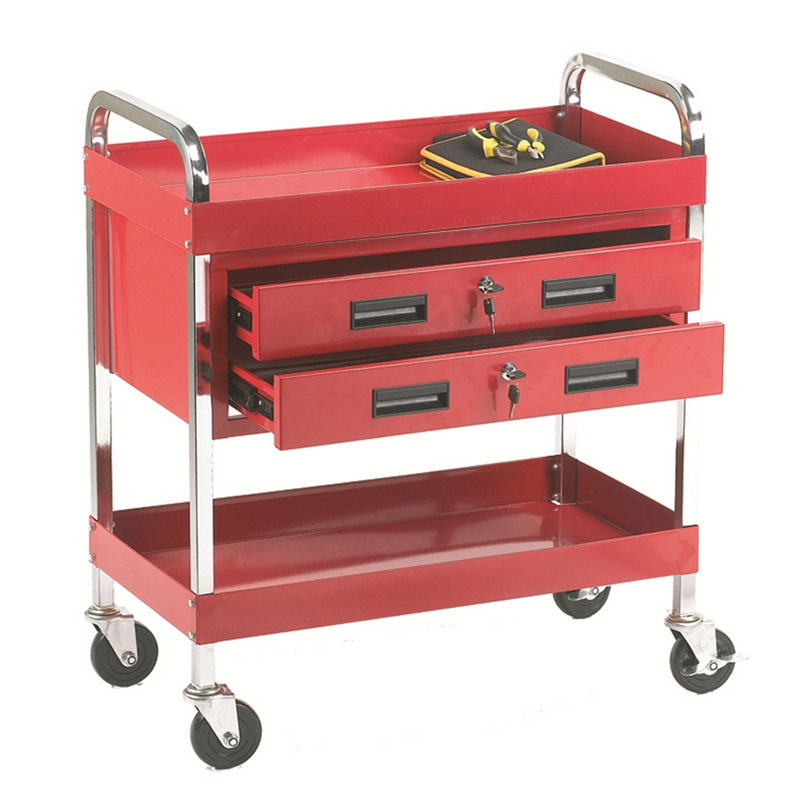 The trolley comes with 2 tray shelves and either 1 or 2 lockable storage drawers. 4 swivel wheels make this trolley easy to move around warehouses, workshops, assembly areas and garages. Note: Tools shown for illustration purposes only.